Gaining weight is a very real problem to many weight trainers, especially those in he early stages of bodybuilding. Many believe that there is a closely guarded secret which enables only a few 'in the know' to gain weight. Others firmly believe that no matter what they do they will never manage to add even a single pound of added muscle. The problem that so many have of fighting off excess pounds is baffling to the skinny guy. He believes that whatever he eats or drinks - however much he exercises or rests, for him, gaining additional weight is impossible. Actually, gaining weight is not hard. But it does entail the following of certain patterns of behavior on the part of the individual. Some dedication is needed. Basically three rules must be followed. If you, a a person wishing to gain weight are unable to 'see' yourself following these rules, then forget about gaining extra pounds of muscle. It can't be done. You will only be frustrating yourself by only half trying. Follow half the rules of the game and you will get nowhere. 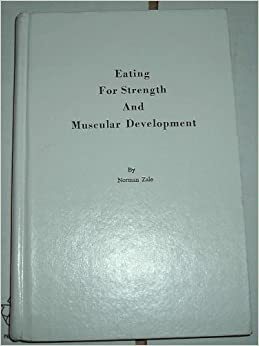 The three considerations, as you might have guessed if you are a regular reader of bodybuilding magazines and manuals are: nutrition, rest, and exercise. These essential factors and their application control the way we look, feel, and act. The food we eat is of tremendous importance. By its quantity control anybody in normal health can gain or lose as much as a pound a day. However, this gain would entail extreme measures. A person wanting additional bodyweight should be content with a gain of a pound or two a week. Though at first this might not sound much, it is in fact rapid. Bot Hoffman, editor and publisher, a man who has helped more skinny people gain weight than any other living person, gave advice and help that enabled under class-weight heavyweight Olympic lifter Jim Bradford gain 25 lbs of additional bodyweight in one week. Yes, it's a fact, Bradford gained almost four pounds each day. Of course, Hoffman does not advocate that weight is put on so rapidly, but he does relate the story to illustrate just what can be done if one's diet is substantially increased. Too, additional weight needs to be consolidated, i.e., plenty of strenuous exercise after a considerable gain has been made, at which time no extra weight is added to the frame. It doesn't much matter what you eat as long as the foods are wholesome and nutritious. Also include adequate fruits, vegetables and of course that all-important protein. Graduate your milk intake to your present degree of skinniness. Those of you whose abdominals are bursting through your skin might well benefit by drinking up to a gallon a day. However, the more normal needs will be satisfied with half that amount or even less. If you want to gain weight quickly, then eat or drink something nutritious every two hours during the day. Don't go in for huge meals but rather partake of smaller snacks more regularly. You will not gain weight unless you consume a surplus of calories. If you establish a caloric equilibrium, just the right amount of calories, you will not gain weight. If you have fewer calories than are needed for your energy requirements, the body will call on its own reserves of fat and even muscle and you will lose weight. And if you supply the body with more than the required amount of calories, you will gain weight. However, to gain muscular bodyweight you need both enough calories and sufficient protein. If either calories or protein are not present in sufficient quantities, you will not gain solid weight. Outside his vocation, the aspiring weight gainer should endeavor to get as much rest and relaxation as possible. No one is going to add much weight if he plays tennis before his workout and goes out dancing and partying afterwards. Eight or nine hours of sleep are required at this stage. Set yourself a regular bedtime so that your body can adjust to form the habit of sleep. If you are the nervous type, always on the go, then make it a point to concentrate on trying to relax. Worry and tension can ruin your chances of adding weight. Stretch your legs out when your are sitting down. Don't walk about unnecessarily. At least as important as the other two factors are, especially if you are concerned about your additional bodyweight being true muscle, is your actual training routine. Your workout should be designed to incorporate the basic movements of bodybuilding. Squats, rowing and pressing exercises, also heavy movements which involve large groups of muscles, such as deadlifts and other pulling varieties like cleans and high-pulls. Also, your workout must be built on progressive lines. More and more weight should be added to your exercises poundages whenever possible as you become stronger and heavier. Also, abdominal work should be included once you've established a regular habit of adding weight, so that your waist never gets out of condition. If you really want to gain weight then make a point of paying special attention to the above factors. Make sure you are eating and resting sufficiently and of course give the weights a good bashing three or four times a week.